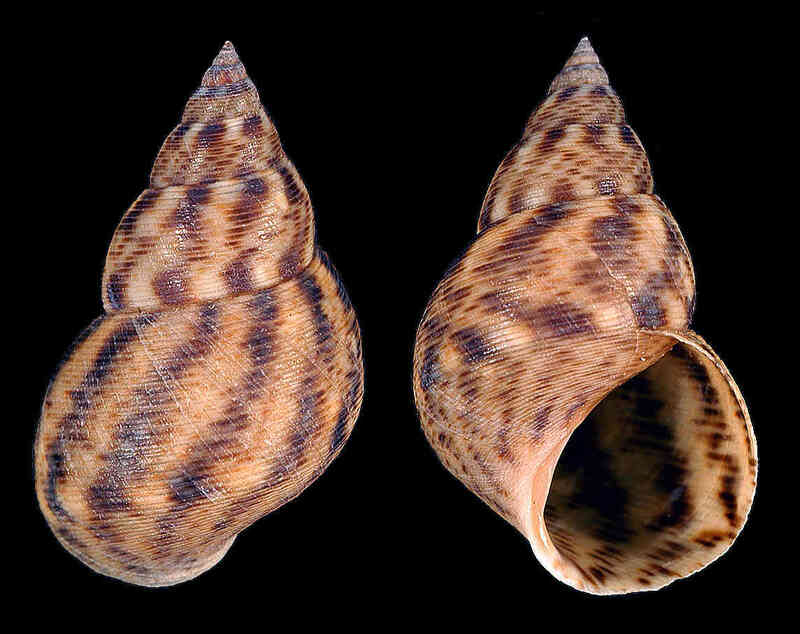 Shell size to 25 mm; shell with six or seven rounded whorls. Sutures slightly indented. Spiral grooves on last few whorls. Color gray to reddish to brown with irregular darker markings. 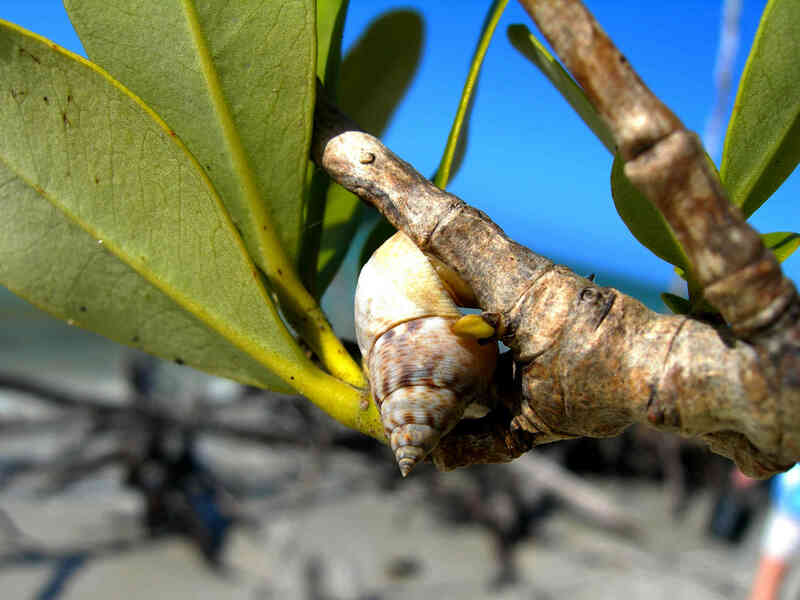 Unlike its close relative, the cloudy periwinkle, which forms aggregations on dead tree trunks and other dead wood, the mangrove periwinkle prefers to live on live mangrove trees, in particular on the prop roots, trunk, and branches of red mangrove trees, as seen in the supplementary photo. Mangrove periwinkles browse on the film of fungi and algae that grows on the mangrove bark. Individuals in this species spend all their lives out of water, except for the first couple of months of their larval life. The supplementary photo was taken by Amy Tripp on Kice Island, Collier County, November 2014.